– Keep tools visible and accessible in your tool chest, not hidden away in cases. – Are built with quality materials, and tested and proven durable in professional shops. – Are easy to use and don’t require tracing, cutting, artistic abilities or hours of your time. – Reduce the risk of lost tools by highlighting those that are missing at a glance. The more tools you own and the more you use them, the more impor­tant orga­niz­ing those tools becomes. Noth­ing hurts productivity more than spend­ing pre­cious time look­ing for a tool instead of get­ting the job done. 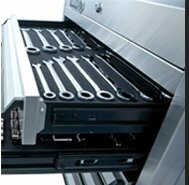 The cost of individual socket, wrench and driver organizers add up fast and many tools just don’t fit. Tool­Lodge® lets you custom organize nearly all of your tools for less. Organizing tools with Tool­Lodge® helps reduce both motion and inventory waste. Technicians gain efficiency by having tools retrievable at a glance. Also, with impressions which shadow-box, ToolLodge® is an important addition to your Tool Controls System or FOD Prevention Program. Use Tool­Lodge® for other applications like displaying your coin collection and more. 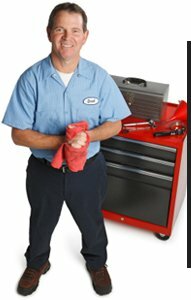 ToolLodge® has been tested in home and commercial garages by aerospace & automotive technicians. ToolLodge is not recommended for on-board tool stor­age such as truck bed tool boxes which experience sudden movements and/or vibration. ToolLodge works best with sturdy hand tools. We do not recommend pressing or tapping on plastic tools or tools with large surface areas. Pressing or tapping fragile or calibrated tools into ToolLodge is not recommended.